Did you ever want to sue a foreign government? If so, your case would be greatly impacted by the Foreign States Immunity Act (FSIA) of 1976. Pursuing a legal matter against the government of another country can be complicated. Consider the following case study. Though fictional, it is based upon real events. This time last year, on a quiet Sunday morning, dawn broke over the Mediterranean with subtle hues on calm seas. To the south was Tripoli and to the east were Egypt and the Holy Land. On the bridge of our vessel, I was comforted by the sight of two smaller ships both starboard and portside – laying off by approximately one nautical mile. Each was a mercenary gun ship – you can imagine something that looked like a small naval destroyer. The distance to our ship was calculated to be just enough to provide a safe barrier. Our cargos of medicines from Israel, bound for the United States and Dutch ports were being intercepted for months now by new Barbary Pirates. We had enough and decided to hire the mercenary escorts to protect our ships, crews and cargo. While the lives of the crews were all-important alone, our cargos represented not just a few pills. Fifteen percent of all of Israel’s exports were medications – our cargo! Suddenly, military helicopters launched from their base at Al Bayda appeared and hovered by each of the escorts vessels and in English ordered them to heave to for boarding. We weren’t concerned because the USA had already reestablished diplomatic relations with Libya after the fall of Muammar Gaddafi. We thought this was some form of routine inspection since we were now in Libyan waters. There was no concern because our parent company already informed all appropriate parties about our escorts. However, after a very long hour’s delay with all of us dead in the water, the two escorts vessels started to veer away from us southward toward the Libyan coast, leaving us undefended. Both vessels and their crews numbering 75 were seized by the Libyan government for “smuggling arms into Libyan waters. We notified our company immediately and they, in turn, notified BattleCraft Inc, the parent company for the mercenary vessels. BattleCraft is headquartered oddly here in California in the Mojave Desert. They immediately notified our law firm since they represented us on corporate matters. The crews of the two mercenary vessels were arraigned in Al Bayda High Court, and the Judge agreed to release them on a bail bond of $22-million USD, but only if they surrendered their passports and obtained lodging at a local hotel. As part of our agreement with BattleCraft, we had to pay for the lodging of the crews and we guaranteed the hotel tariffs without hesitation – indeed, we felt obligated to provide care and comfort to those who were protecting us. Besides, we knew this would be a short stay since this was obviously all due to some bureaucratic mix-up. However, days turned into weeks and weeks into months and only after 18 of those months at a cost of $675,000 USD for hotel lodging was the crew released after all charges against them were dropped by the Libyan Court because it found the necessary clearances had been obtained by our company. However, BattleCraft had to paid a gratuity of $2.5 million dollars as a “friendly settlement” of the unfortunate situation and of course, that charge was passed on to us for payment. That brings me to today, as I’m sitting here smiling as I gaze at a check just received from our lawyer $2,857,500 USD, based upon a successful enforcement of a Judgment against the Libyan government in the amount of $3,175,000 plus attorney fees + interest + Court costs. “Not possible”, you say! After all, foreign governments are immune from prosecution in the USA. True, but then again – Not true. Let’s explore that a bit. Is the Foreign Country Immune? The first hurdle to overcome is whether or not the foreign state is actually immune from jurisdiction of the courts here in the Unites States. While they do possess immunity from prosecution, there are exceptions to that immunity. Those exceptions are found in 28 U.S. Code Chapter 97 as the relevant law. If you are contemplating a lawsuit against a foreign state, a thorough reading and understanding of this law is paramount and then you must consult with counsel to see if you meet all of the tests involved. Here, I’ll discuss just some of the general exceptions to jurisdictional immunity of a foreign state. Obviously, in the unlikely event a foreign state voluntarily agrees to waive immunity from prosecution, your problem is solved. Otherwise, you will need to demonstrate there was a commercial activity which was either carried on here in the USA by the foreign state or an act performed in the USA which was in conjunction with a commercial activity of the foreign state elsewhere. If the commercial activity was conducted outside the USA and its territories, it must have a direct effect here in the USA. A plaintiff here in the USA can seek jurisdiction of the US Courts if their property was unlawfully seized by a foreign state contrary to international law, where damages are sought against a foreign state for personal injury or death. If the foreign state commits any tortious act to cause a loss or damage here in the USA, including those of a commercial nature – even by an act of omission, those too would be excluded from a claim of immunity under the Foreign States Immunity Act. As most of us know, the presence of an arbitration clause in a contract is considered to be the preeminent choice of forum for resolving disputes under our law (9 USC the American Arbitration Act). Consequently, when an arbitration clause is present in a commercial contract between a foreign state and an American entity or person, the foreign state cannot claim immunity from prosecution in this country. Rather, the forum is merely shifted to the arbitral process. Lawsuits based on admiralty law to enforce a lien against a vessel or to foreclose on a preferred mortgage, are also excluded from a claim of immunity by the foreign state. 28 U.S. Code § 1605A discusses exclusions from immunity under the act because of damages or loss, where that damage or loss was caused by the foreign state’s commission of acts of torture, extrajudicial killing, aircraft sabotage, hostage taking, which results in personal injury or death. When you can satisfy the tests for exceptions for immunity and have then successfully filed suit and gained a Judgment here in the USA you must then locate and isolate assets held by the foreign state which also are not protected by sovereign immunity. Whether or not you can enforce your Judgment by executing on assets held by the foreign state here in the USA is also defined in this act under § 1610. You are permitted to execute on any commercial property here in the USA, which is owned by the foreign state so long as the property or asset is not used in conjunction with the actual operation of their embassy or consulate. So you can forget about actually seizing the buildings occupied for those purposes. However, if the Chinese government purchased real property for use as rental property to individuals not connected to their embassy or consulate (like an investment property), such property would be fair game for execution. You can certainly seize any bank account owned by the foreign state here in this country so long as it is not an account held in their nation’s central banking authority (like our Federal Reserve Bank). So while you can seize the bank account used to pay for automobile leases or the light bill, you cannot send the Sheriff down to the foreign state’s central bank branch, which might be located in this country. As an example, you cannot seize funds from The Reserve Bank of India’s New York location because it is the central banking authority for India. However, you can seize the Indian embassy’s bank account held at the State Bank of India’s New York branch, which is merely a commercial bank. 1. Property owned by the foreign state’s central bank (like gold held in our Federal Reserve banks). So let’s go back to our fictional case study. It’s clear the Libyan government took an action which resulted in a commercial transaction between the hotel and the mercenary company and that resulted in the further liability of the ship’s company because of their hold harmless agreement issued to the mercenary company. · The mercenary company had no choice but to comply with the order and the ship’s company had no choice but to honor its hold harmless agreement. · The Libyan Court later ruled the seizure of the ship and crew were without legal foundation and inappropriate. Thus it had to be argued the Libyan government should be held responsible here under jurisdiction of our Courts for the resulting expenses and fees paid since under the Act, “if the foreign state commits any tortious act to cause a loss or damage here in the USA, …” and that there would be no justification by the Libyan government for a claim of immunity under the Act. There is little doubt the U.S. plaintiff would prevail for a Judgment for the damages sustained and would then be able to enforce that Judgment here in the USA. The case example used in this post is one of a more dramatic nature. 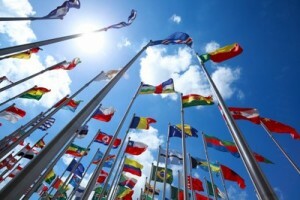 However, even if you are a vendor who is providing a foreign government with goods or services not connected to the actual operation of their embassy or consulate you can proceed with confidence after carefully considering the exclusions to immunity and a thorough consultation with counsel. In short, foreign states do have immunity from prosecution but that immunity is not absolute. I finally got to see that wonderful movie, “A Woman in Gold”. While I knew the basic plot before I saw the movie – A holocaust survivor played by Helen Mirren, attempts to recover a treasured painting stolen from her family when the Nazis entered Austria – I had no idea the legal arguments propounded by her lawyer were entirely predicated upon the Foreign States Immunity Act – the same law cited in my blog article. If you haven’t seen the movie, take the time to see it now that you’ve read my post.